Okay, ladies. Your true love and soul mate finally proposed! (Congratulations, by the way!) There’s so much to think about, but we all know ninety-nine percent of newly made brides-to-be immediately think of one thing. As in, the dress. The one you’ve pictured yourself wearing too many times to remember. That vision has likely changed over time, just as you have. The sixteen-year-old “you” wanted a Belle-inspired ballgown to sweep around the dance floor, only to embrace a boho bride vibe in your mid twenties. Satin or lace? Strapless or long-sleeves? Are two gowns too many, or can a bride do a ceremony and a reception look? Brides often think they know what they want in their wedding dress, only to suddenly second-guess themselves once they’re actually in the moment. The dresses themselves present many considerations for brides to take in. Add in an extra layer of opinionated moms, grandmothers, grooms, and girlfriends and the whole experience can become extremely overwhelming. Gown shopping can quickly transform from an exciting and beautiful experience to one fraught with disappointment and frustration. Margaux and Emmaleigh, the owner and lead stylist, respectively, of Wildflower Bridal, understand this fragile dynamic and want to empower brides to better understand this unique process. Below are their seven top tips to help brides set themselves up for the best wedding gown shopping experience possible. 1 | Start shopping early. During your gown shopping appointment, you’ll be trying on dress samples that will be clamped to fit your figure. Once you select the winning dress, your bridal stylist will take your measurements before ordering your custom-made gown. These special-order dresses average a lead time of five months, not including any necessary alterations you may choose to make after the gown arrives. (At Wildflower Bridal, we typically recommend allotting two months for alterations.) Add in extra time as a safety net, plus the deadline you’ll want your dress by for bridal portraits, and it starts to add up. To be safe, shop for, select, and order your gown nine to twelve months before your wedding date. 2 | Have an open mind. Some gowns just don’t have great hanger appeal but look amazing on! If your bridal stylist suggests you try on a gown that’s not speaking to you from the hanger, go ahead and give it a shot. She works with her collection of gowns every day, so she knows just how much a dress can transform once it’s off the hanger and on a real bride. Very often our brides end up choosing gowns we pulled for them after they overlooked them on the rack. Furthermore, brides often arrive at Wildflower with a specific vision – say, a sparkly ballgown – and wind up falling in love with a minimalist sheath dress. In a situation as special and fluid as shopping for your wedding gown, try and let go of any expectations you may have and be open to the process. 3 | Consider your budget carefully. In the grand scheme of wedding planning, ask yourself how important your dress is to you. If it ranks very high on your list of priorities, allocate a larger portion of your overall wedding budget to your dress. If a loved one is helping to pay for your gown, talk about and agree on a budget you’re both comfortable with well before your bridal appointment, and be sure to share this number with your bridal consultant/s. Many bridal boutiques offer general pricing information on their website, so do a little research beforehand to determine whether or not the shop is a good fit for your taste and your budget. As difficult as it can be, avoid trying on gowns that are beyond your budget. Falling in love with something that’s priced well outside of your financial comfort zone can feel extremely uncomfortable and discouraging. 4 | Maximize your time — it goes quickly! Most bridal appointments run between 60 and 90 minutes long, and those minutes fly by! (As time is wont to do when you’re having fun!) If you’re standing in front of the mirror and you’re just not feeling the gown, move on to the next one. This is not a situation that can be forced, and what they say is true: you’ll know your gown when you see it! Don’t waste time in a gown you’re feeling just ‘ehhh’ about — that time will be better spent after you find your gown and you begin thinking about veils and accessories. On that subject, don’t bother to try veils, belts, and jewelry with dresses you’re just not into. Save those for only the top contenders. 5 | Choose your entourage wisely. You may feel tempted (or pressured) to invite your mom, sister, future mother-in-law, grandmother, aunt, and all six of your bridesmaids. Take a pause before you extend all those invitations. That’s a lot of people with a lot of differing tastes and opinions. Bring one to three people who will be most supportive of you and your tastes. Ultimately, you want to invite friends and family who will encourage you to choose the gown you love the most and feel the best in, not the one they prefer. Don’t feel coerced by convention or protocol to choose who comes with you. Very often, brides want to include their mom and best friend, but sometimes they love the company of a coworker, classmate, or even their fiancé. 6 | Go with the gown that makes your heart happy. Have you fallen in love with a glitzy, glamorous gown, but your wedding style is more rustic? Two words: who cares?! Choose the dress that makes you feel all kinds of giddy and special. If it doesn’t go with your theme or colors, don’t sweat it! You can change them to fit your gown if you feel strongly about everything matching. (Another reason to start dress shopping early.) If not, remember: YOU are the bride! It’s A-OK (encouraged, in fact) to stand out! 7 | When you know you’ve found your dress, stop looking. Even if you still have over a year before your wedding date, give yourself a high five, place your order, and check that major wedding to-do off your list. If you keep looking, you may get overwhelmed and lose sight of what you really want. Worse still, the original gown you loved may get discontinued or increase in price in the interim. So put the wedding magazines away, stop watching Say Yes to the Dress, cancel your other appointments and pop the champagne! You’ve finally found the dress, and that is worth celebrating! 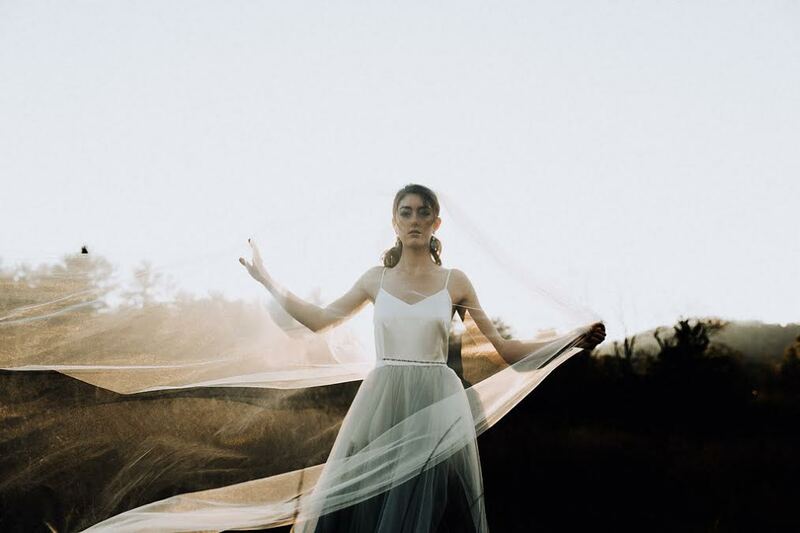 Originally from New York City with a background in fashion, Margaux moved to Asheville in 2007 and soon realized there was a need for a more fashion-forward bridal shop to help regional brides find gowns that speak to their styles and spirits. 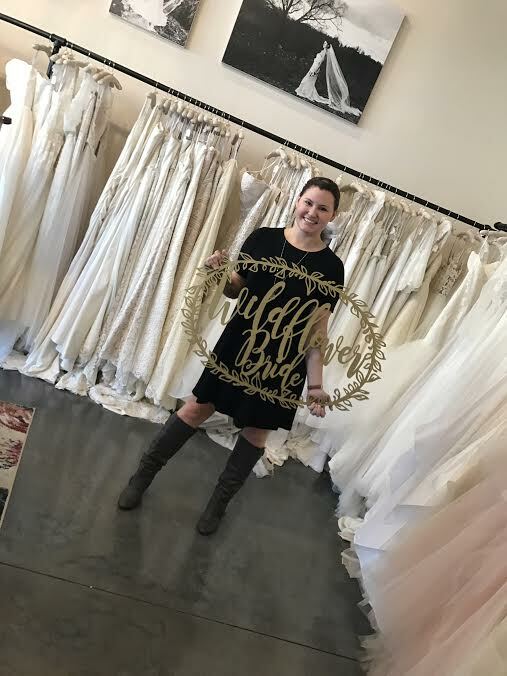 After realizing that local brides were leaving the area to shop for their wedding dresses, Margaux dreamed up the idea for Wildflower Bridal. This gorgeous boho bridal shop provides a comfortable and chic environment where stylish brides-to-be can find their dream gowns. Emmaleigh is an Asheville native. 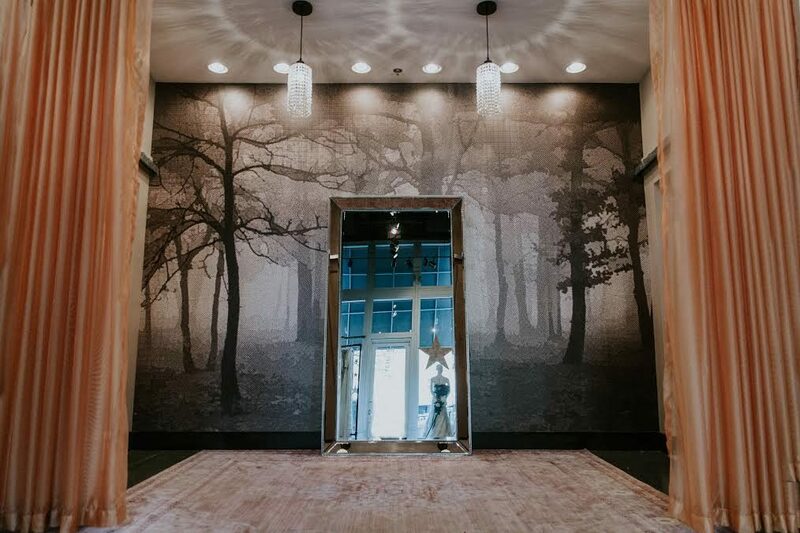 With her own difficulties as a petite woman (she’s 4’11” and wears a size 4 shoe), she has a pretty unique perspective on making sure the brides who come to Wildflower have the best possible experience and feel fabulous, not frustrated! When she’s not making sure brides are having fun and feeling beautiful, she is loving on her pup, Serenity, visiting with family and friends, or spending time in Asheville’s glorious mountains. To learn more about Wildflower Bridal, or to contact the shop, please visit their profile on our Creative Team page. Feature photo credit: Foxhouse Studio.